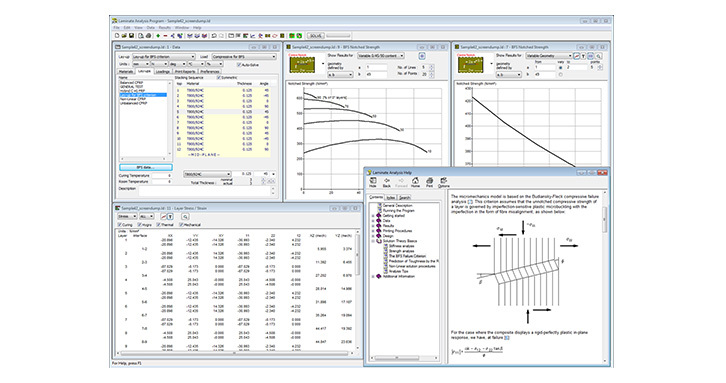 The Laminate Analysis Program, or LAP, can be used to analyze any type of composite laminate subjected to in-plane loads and moments. With LAP, the flat laminate has no fixed size apart from its thickness, so that the analysis can be applied to any composite component, at a location where loadings or deformations are known. 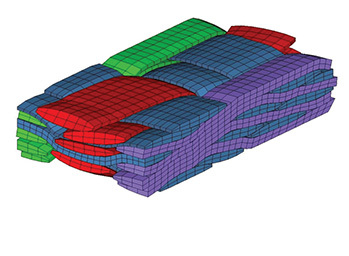 Typically, the software is used in preliminary design for tailoring a stacking sequence, then analyzing the composite component with other methods such as finite elements, and finally optimizing the design by inspecting the laminate behavior layer by layer. Set up in 1995, Anaglyph Ltd. has been providing cutting edge technology engineering consultancy services in all aspects of industrial design, analysis and manufacturing. The company’s in-house expertise is mainly on advanced structural applications, in particular those employing composite materials. 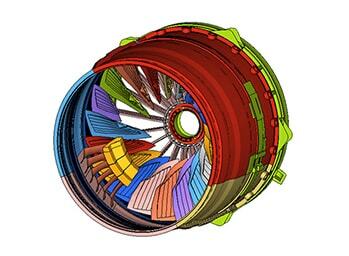 Anaglyph Ltd. was the first company to provide specialized commercial composites software applications for PCs. Anaglyph Ltd.’s products are highly competitive as they offer excellent value for money in this niche market, yet is applicable to a wide range of sectors such as Aeronautics, Automotive, Sports and Leisure, Marine, etc. LAP is available through the Altair Partner Alliance. 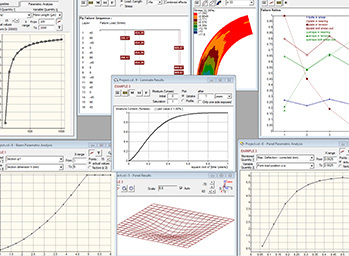 The simplicity of the analysis ensures universal applicability, since it is not limited by structural shape. 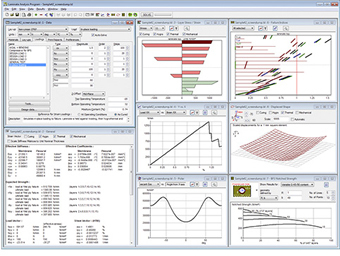 Typically, the software is used in preliminary design for tailoring a stacking sequence, then analyzing the composite component with other methods such as finite elements, and finally optimizing the design by inspecting the laminate behavior layer by layer. The software maintains its emphasis on ease of use and fast, efficient, robust solvers. 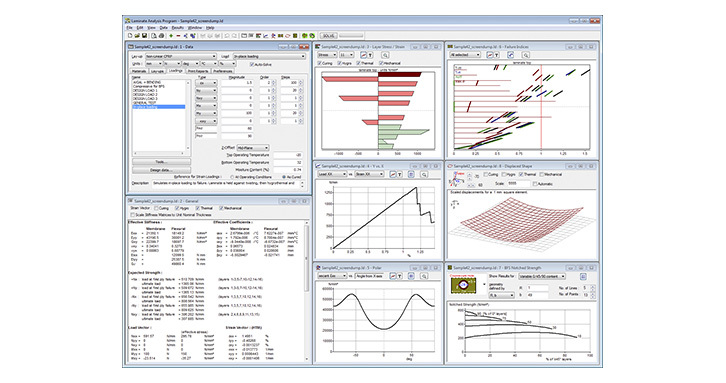 The graphical interface for data manipulation and for inspection of results guarantees instant familiarity and in-depth understanding of composite laminate behavior. The program's powerful features make it an ideal tool for the demanding expert, yet a newcomer to composites can complete simple tasks within minutes. 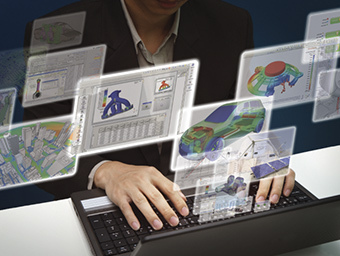 It is characteristic that the software is used by industry in aerospace, ship building, car racing, etc., as well as in academic and professional teaching courses. 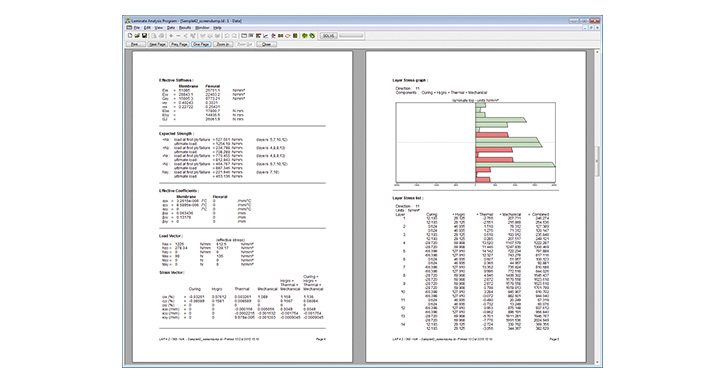 LAP: Materials, layups and loadings data are combined to produce graphical and tabular results. 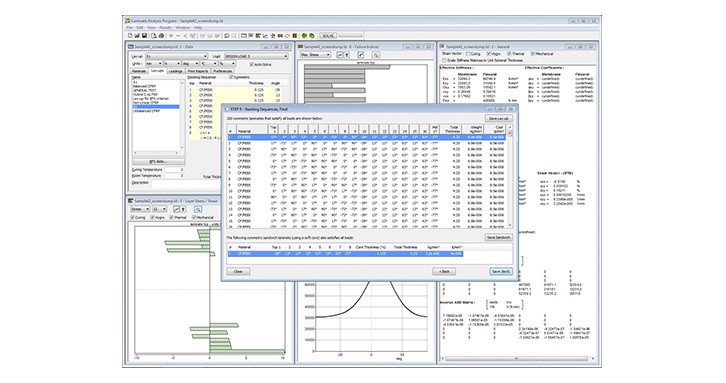 LAP Design Module: This unique feature is used to obtain optimal stacking sequences. 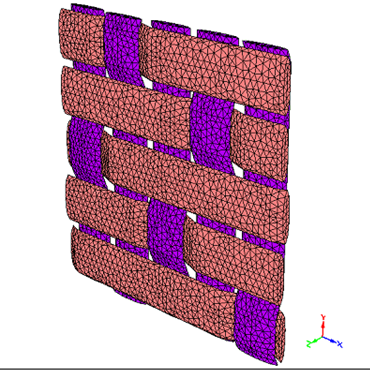 LAP BFS Criterion: Calculate the effect of notch size & geometry on longitudinal compressive strength. Detailed report of results can be printed with LAP. LAP is applicable wherever composite materials are used, including aerospace, automotive, commercial products, marine and wind energy industries.